Agendas are an important tool to keep business meetings focused, organized and flowing well. To develop skills in business writing, consider taking part in Business Writing Training Course delivered by pdtraining Boston, Charlotte and other cities. 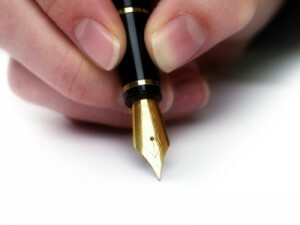 Basic business writing skills enhance your ability to create professional documents that are informative and engaging. In this article, we will discuss the basic structure of agendas, how to select an agenda format, and tips and techniques for writing an agenda. An agenda is a list of the topics for discussion in a meeting along with details that can help the meeting run successfully. It keeps the discussion on track and the meeting on schedule. When included in the invitation, an agenda is a way to brief participants on how they should prepare for the meeting and what they should bring. Most agendas are distributed days before the meeting (which is recommended). There are cases however, when an emergency meeting has to be called and the agenda is sent on the day of the meeting or a few hours before it. In the latter case, write the meeting agenda in outline form, which can easily be reviewed in the shortest time possible. Some meetings happen regularly such as meetings of the board of directors. For such meetings, sections on “Matters Resolved During the Previous Meeting” or “Matters Arising from the Previous Meeting” may be needed to continue with the matters discussed in the previous meeting. Agendas for meetings that happen regularly may not be as detailed as other agendas, as the attendees are familiar with the topics discussed. Depending on their level of familiarity, the agenda can be either detailed or concise. Your purpose in sending out an agenda can influence what format you use. Some agendas are meant as an invitation to potential meeting attendees. For such agendas, include sections on how you perceive the input of the attendees on the discussion would help. Some agendas are also meant as orientations. Consult everyone involved in the meeting about what topics should be included in the agenda. At least seek confirmation from your team to see if the agenda is accurate and complete. Rank the topics in descending order of importance and urgency. This way, it’s the less priority topics that get sacrificed in case there’s no time. Start with topics arising from the previous meeting before discussing new topics, unless new issues are more important. Combine items that are related and/or similar. Plan for only 30 minutes to one and a half hour. Anything longer tends to be unproductive because of lack of focus. Be reasonable in setting the time that will be spent on each topic. If the discussion has to be really focused, state in the agenda what precisely will be discussed. There is so much time wasted in most meetings that a well written agenda can keep all attendees focused and on track.